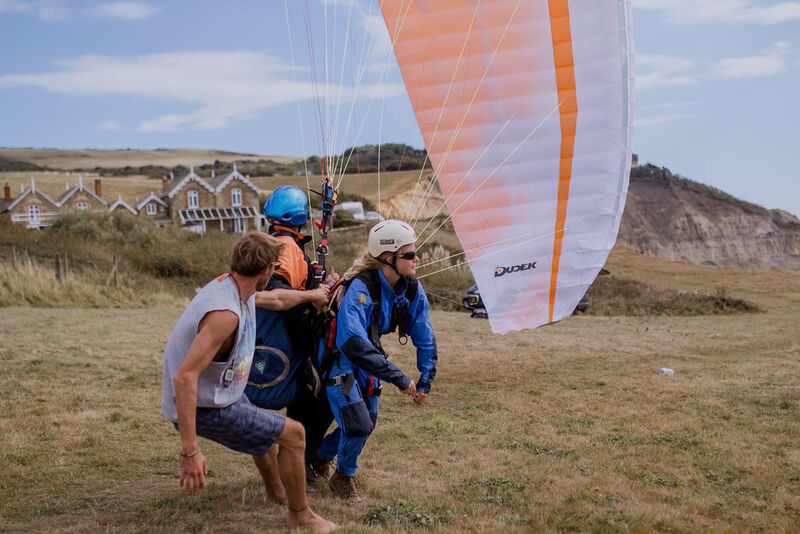 Butterfly Paragliding is a world-famous paragliding centre on the Isle of Wight with on-site B&B accomodation and a base for volunteer workers. Book rooms with us through AirBnB or phone us direct on 07840491981 … it’s a great community experience! Click here to book on AirBnB! We are perfectly situated for a stopover on the Coastal Walk around the Island, cycle touring, rambling, or a flying (paragliding that is) weekend away from the hustle and crowds of North Island (England). We have three upstairs rooms for straightforward bed and breakfast guests. numerous options for groups, glamping and paraglamping. Tandem Flying is the easiest way to experience paragliding! Dave “Butterfly” Botha is the heart of Butterfly Paragliding. When the wind is good, he drops everything, runs down to our take-off-site and gets up in the air flying! Musician songwriter poet biker and general good guy, Fixit Bruce is learning to fly this year. One of the most reliable team members… a 25 year old German musician who first came as a volunteer worker in 2017 and is now a friend of the family! Wwoofers wanted for Summer 2018! Read More Wwoofers wanted for Summer 2018! Read More We are on “Four in a Bed” on Channel 4! Dave and his family and helpers at Butterfly Paragliding couldn’t have been more friendly or hospitable and they really made me feel at home. What a great and beautiful place to spend some days in March! Very nice place and people. Thank you for your kindness Dave~ I'll reserve again this summer! Take care~ Dave! Dave is a relaxed convivial man with diverse interests from paragliding to astrology. Of an evening we were serenaded by Dave playing guitar by a blazing log fire. In the morning we woke to the smell of Dave's freshly baked bread. 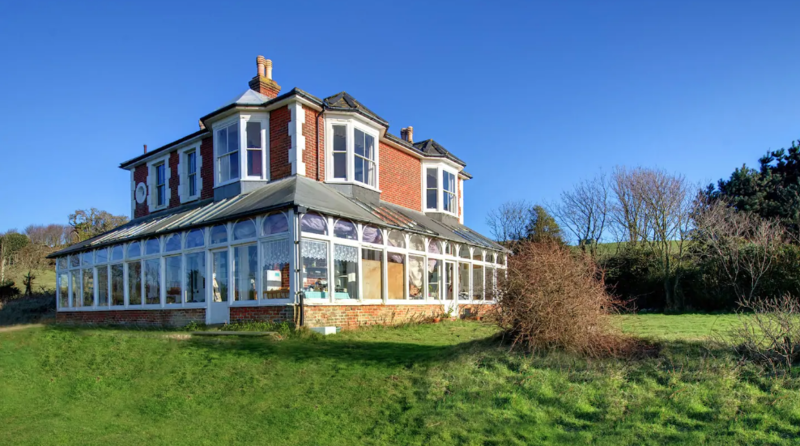 The place and grounds are enormous with a shabby chic style and up cycled furniture and stunning sea views. Dave and Alex were very friendly and welcoming. Very comfortable house. Good for socializing if you like but just as easy to relax and have quiet time. I loved the slightly off the beaten path location, incredible view and easy access to the beautiful Coastal Trail. It's not fancy (which I prefer) but it's got character and charm. A special place.